Downtown Englewood, NJ, known for its burgeoning cultural, shopping and entertainment offerings and prime access to New York City, is getting a major residential upgrade with the launch of One William, a new luxury rental community in the heart of the walkable town center. 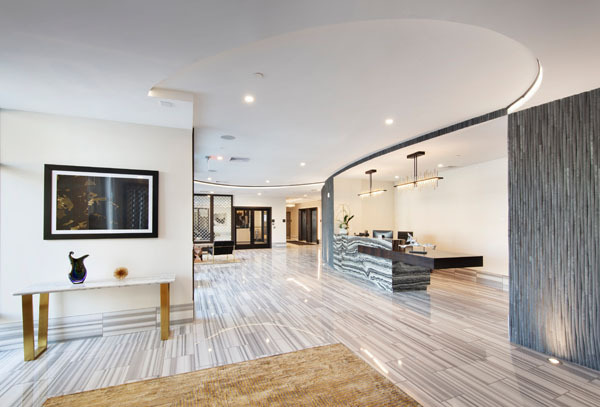 Offering a collection of one- and two-bedroom residences and a full suite of indoor and outdoor amenities, One William combines modern living spaces with an exciting cosmopolitan atmosphere. Located at 1 William Street, just off of W. Palisade Avenue, One William features 185 well-appointed rental residences throughout the five-story building, some with private balconies and terraces. Monthly rents currently start at $2,350. Immediate occupancy is available. 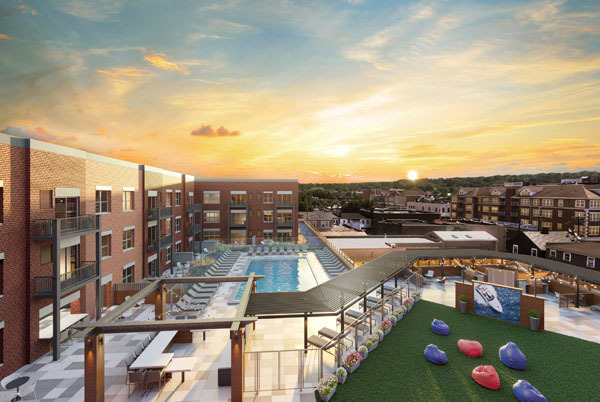 Community amenities include a rooftop pool terrace with a swimming pool, lounge seating, a fire pit, private barbecue stations with dining areas, an outdoor bar with TV, and an expansive lawn area for relaxation. A landscaped courtyard has an additional lawn area, outdoor gaming spaces, lounge seating and a community garden. 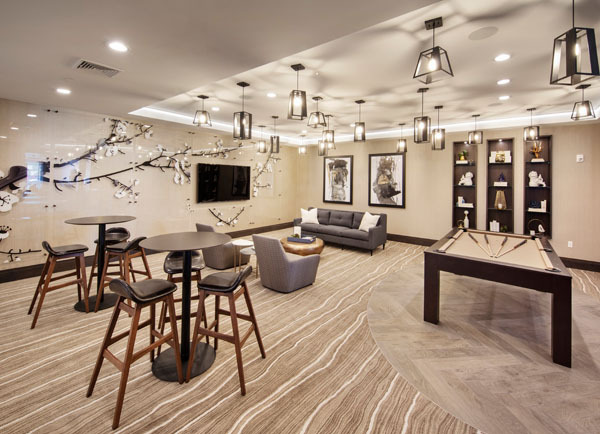 Residents will also enjoy a private fitness center, a children’s playroom, a Wi-Fi lounge with workstations and conference rooms, and a club room with lounge seating, a poker table, shuffleboard, and an indoor/outdoor bar. A separate lobby-level lounge includes a coffee bar, billiards, seating areas and a bar. The smoke-free, pet-friendly community also offers a 24/7 concierge, package acceptance, bicycle storage and onsite parking. Nearby attractions include the Bergen Performing Arts Center, Mackay Park and the Palisades Interstate Park. For commuters, Routes 4, 80 and 9W; the New Jersey Turnpike, the Palisades Parkway and the George Washington Bridge are all less than 10 minutes away. The NJ Transit 166 bus route stops three blocks away from One William and provides a 45-minute commute to Port Authority.